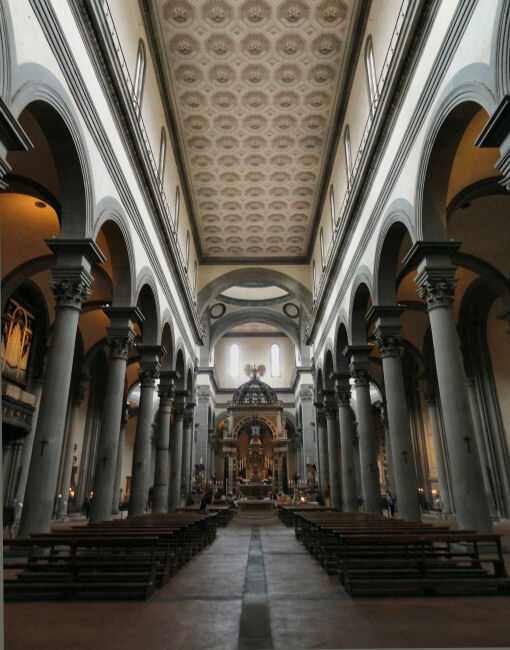 The Santo Spirito Church has a classic Filippo Brunelleschi interior and has amazing Renaissance lines. 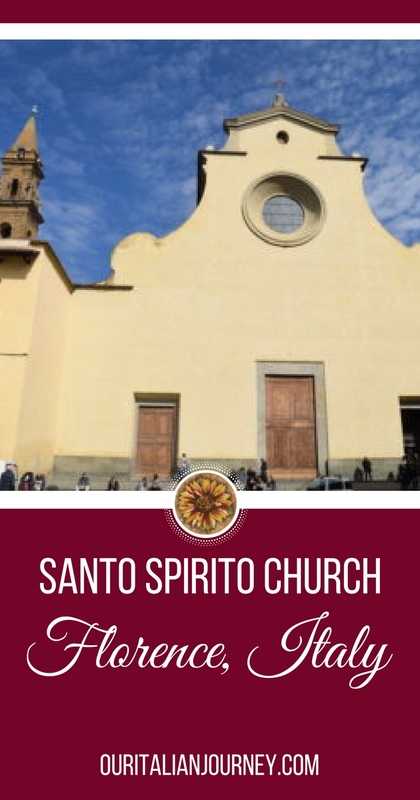 The architects were Brunelleschi and Antonio Manetti and in 140 the church was first opened. Due to the fact the church is so plain on the outside, you might just walk past it and say to yourself, “Ah, it’s just another church.” Whatever you do, stop and visit this church! It has an amazing surprise inside! This post contains affiliate links that help keep this website running. The amazing treasure is a painted, carved wooden crucifix done by Michelangelo at the age of 17. Michelangelo donated this early work to the monastery in appreciation for allowing him to dissect and learn about bodies. The Michelangelo Crocifisso is displayed in the sacristy, through a door midway down the left side of the nave. 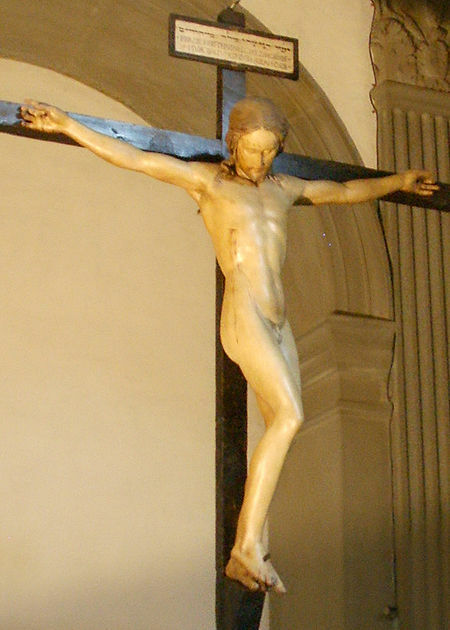 There are no pictures allowed to be taken of this crucifix, or for that matter, anywhere in the church. Copies of Michelangelo’s Pietà and Risen Christ flank the nave by the door; you can’t miss them. Outside on the steps of the church are people having lunch, playing guitars, and just hanging out. It seems to be the place in the piazza to be to do nothing. Florence is always a lovely place to visit!